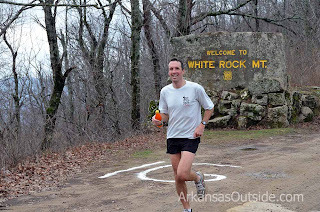 Welcome to the Ouachita Switchbacks 50K and 25K. The race is set for January 19th, 2019. 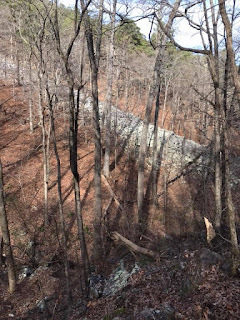 50K COURSE FOR 2019 IS THE SAME AS 2018. The race will begin and end from the Pashubee Trailhead located near Big Cedar, Oklahoma. We are very much looking forward to our fifth running of the Ouachita Switchbacks. It is going to be great fun. The race continues to grow every year and every one has a great time. Please let me know if you have questions or comments. Contact - If you have questions, please contact Race Director Tom Brennan at tommybrennan100@gmail.com or at 918-658-0478. 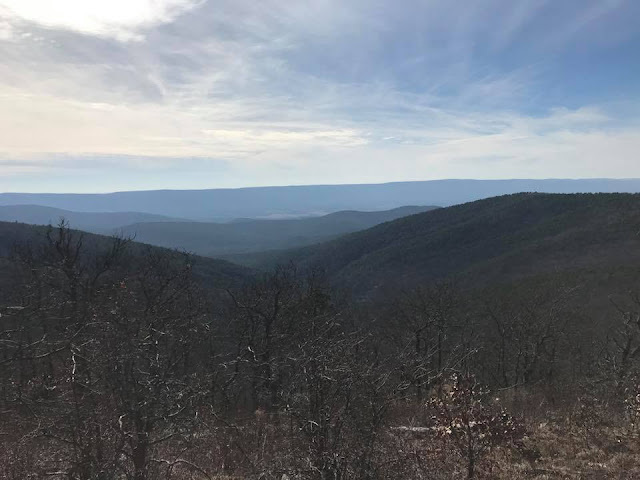 The race is located in the Ouachita National Forest near Big Cedar, Oklahoma. Big Cedar is an intersection where highways 259 and 63 meet but there is not really a town there. Talihina, OK is located 25 miles to the west and Mena, AR is located 35 miles to the east and Heavener, OK is located 25 miles to the north. Poteau is 40 miles to the north. All of these towns have hotels and restaraunts. If coming North from Poteau, you will see this sign about eight miles from Pashubee. Follow 259 here toward Broken Bow. We've had some people go straight here. It can be a little confusing. Some of us will be camping at the race start. There are primitive sites available there. No electricity, no water, no porta-potties, no nothing. But lots of fun. There are no stores in Big Cedar and there will be no restroom facilities at the race site. It is a primitive location without electricity and so be prepared. The race itself is located two miles north of Big Cedar on Hwy 259 and then 4 miles East on a forest road. There is a big sign on Hwy 59 that says - Pashubee Trailhead. There are no bathroom facilities and there is no electricity at the race start and finish location so plan accordingly. It is a remote location and there is not much that can be done about this. Both races (50K and 25K) will begin at 8:00 am. There is an early start option for 50K at 7:00 for those who think they may take more than eight hours. The sunrises at 7:39 am and sets at 5:39 pm. 50K runners should be back at the at the Pashubee TH by 1:30 pm and should be at the last aid station by 3:30. 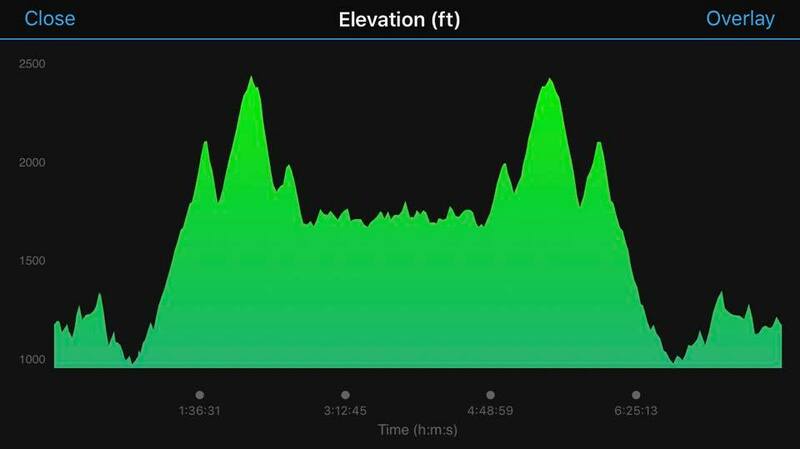 If you start early, this would give you nearly 10 1/2 hours to finish the course before dark. After 3:30, we will close the Kiamichi aid station and give a ride back to anyone left on the course. If you decide to drop, let the race director or aid station know! We will be looking for you if you start the race and do not finish and leave without telling anyone. As most trail runners know, if this happens, search and rescue will be called and you will be responsible for the costs incurred looking for you while you are at home having a beer. 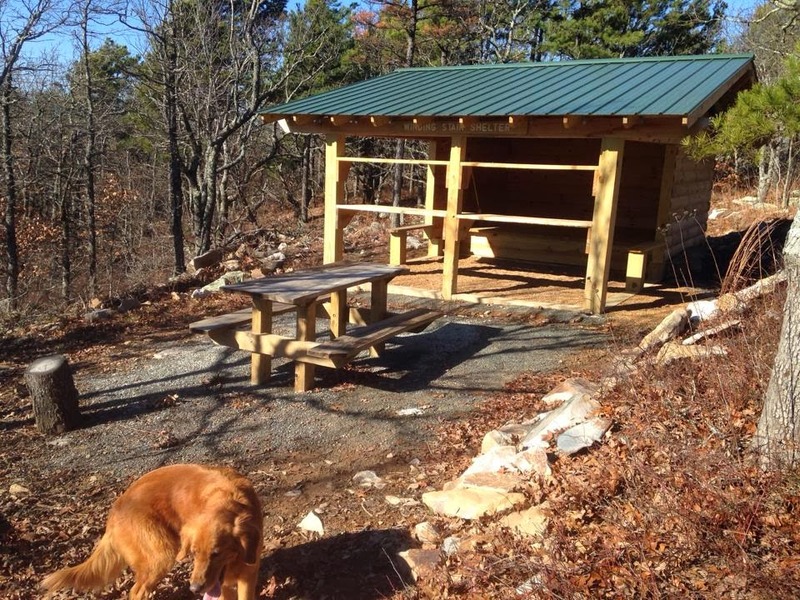 The first and third aid station at the Hwy 259 Trailhead will be fully stocked. The aid station on top of Winding Stair Mtn at Mile 8.8 will have limited aid. Gatorade, Water, some basic food. Aid Station back at Pashubee at mile 17.7 will be fully stocked as will the turnaround aid station. For the 50k, there will be another full aid station at the Horsethief Springs Picnic Area at mile 13.4. There will also be aid set out at mile 10 and 15.5 turnaround. There will be a nice warm fire at the finish with potato soup, stew and chili. Cornbread and tons of other food and beverages and a big party at the finish that may go on into the night! This is a very tough and arduous course. Of course we do not wish to scare any one away and want as many people to participate as possible but also want runners and hikers to know what to expect. BE SURE TO CHECK IN AT ALL MANNED AID STATIONS. ALSO BE SURE TO SIGN OUT WHEN YOU ARE FINISHED AND MAKE SURE WE HAVE YOU DOWN AS HAVING FINISHED. IF YOU DECIDE TO DROP AND GET A RIDE BACK, BE SURE TO LET US KNOW OR WE WILL CALL SEARCH AND RESCUE IF WE THINK YOU ARE LOST. For the 25K, you will turn around at the top of the mountain around mile 8.7. (yes, it's longer than 25 kilometers but there is no charge). 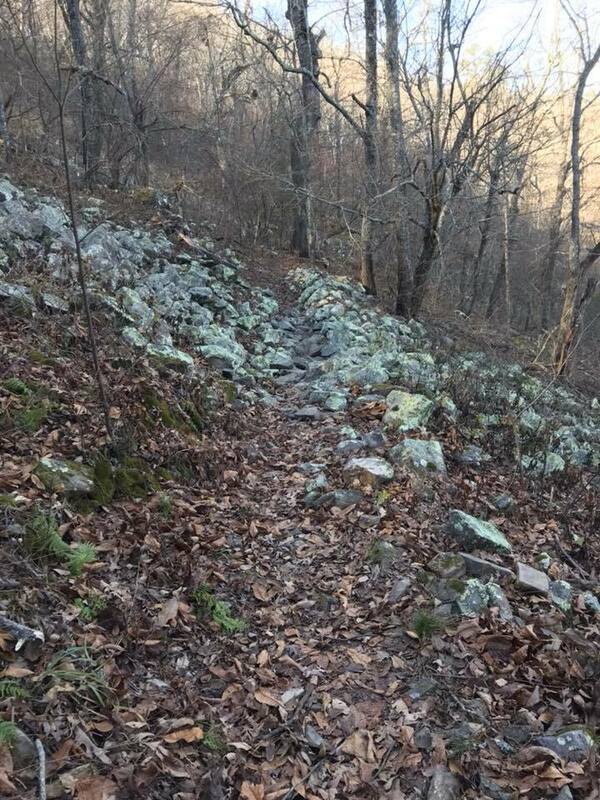 The entire course follows the Ouachita Trail which is clearly marked by blue blazes. A few critical junctions will be marked with flour and/or ribbon but otherwise the course should be really easy to follow. 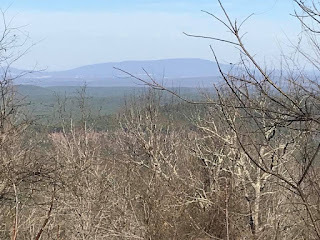 If you do not see blue blazes and thus are not on the Ouachita Trail, you have gone off course. But there are no trail intersections of any significance and so as long as you stay on the trail and follow the blue blazes. You should be good to go. The race begins at Pushubee Trailhead. 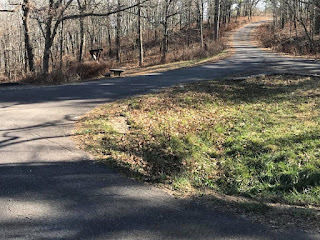 To get to Pashubee Trailhead, travel north of Big Cedar, Oklahoma on Hwy 259 for approximately 1 - 2 miles. 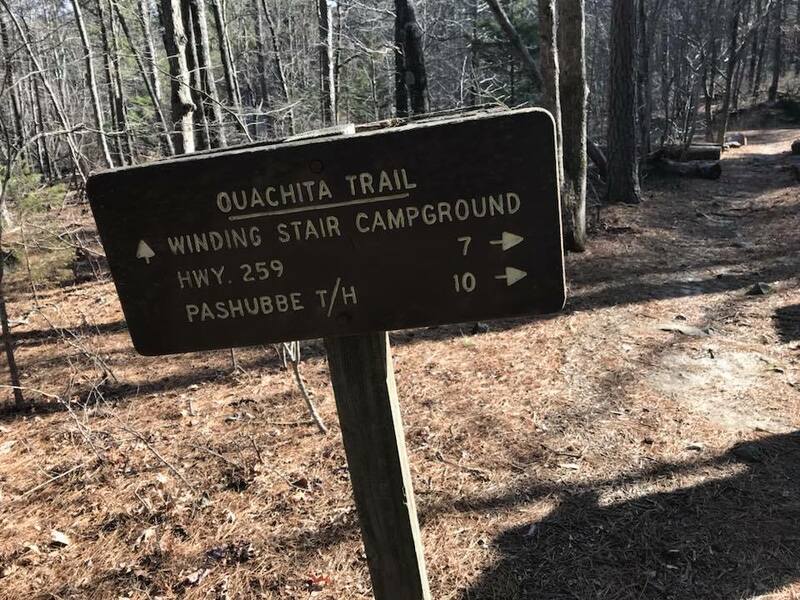 You will see a sign that says Pashubee Trailhead and will proceed East for approximately 4 miles on a forest road and that road will take you to the Trailhead. Signs will be posted to direct you from Hwy 259. 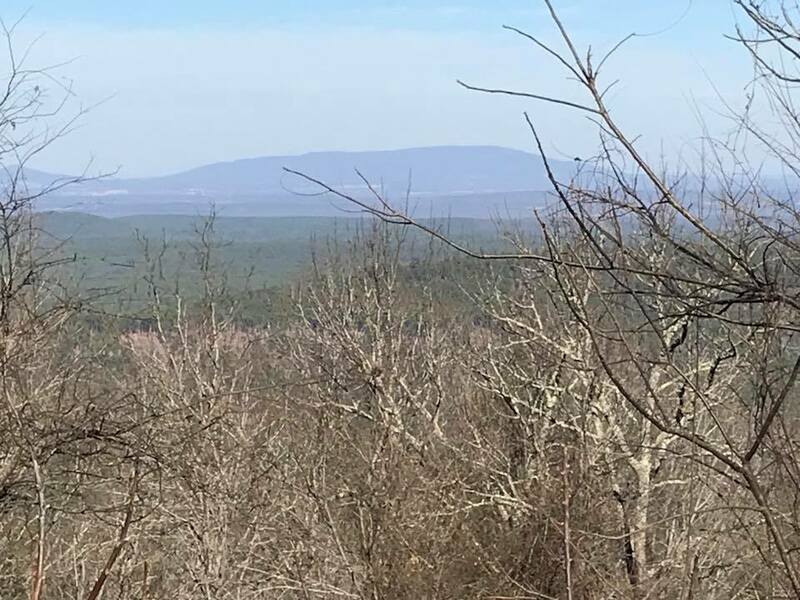 Coming from the North, you will go approximately 4 miles South of junction 259 and hwy 1 (Talimena Scenic Drive) until you come to the sign that directs you to the Pashubee Trailhead which is approximately 4 miles East on a Forest Road. The course starts at Pashubee Trailhead and heads west. 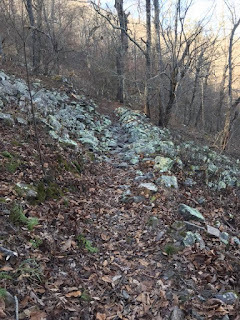 The course follows the Ouachita Trail the entire route which is marked by blue blazes. Runners will go 3.7 miles on the trail over and down one significant climb back to hwy 259 and another trailhead and parking area. Runners will cross the highway to the first aid station. Immediately after the aid station, runners will cross a creek which if there has been rain, there may be ankle deep water. Water crossing is ankle to shin deep. After the water crossing, runners proceed on a steady climb. You are beginning to climb the Winding Stair Mountain. At mile 5 is a cool rock glacier which is very scenic. cross right over the top of the glacier. 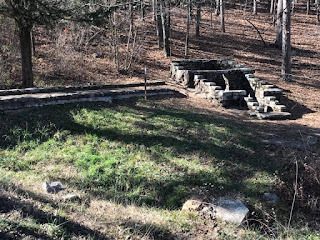 At around mile 6 is the Red Cedar Spring. You could even refill water here if you need to though it is not an aid station. Just past the spring is a 4 wheel drive/jeep trail. Do not follow this, stay on the single track trail. Remember - follow the blue blazes. Continue climbing past a hiker campground at a steady climb and around mile 7, the trail begins to descend to a small saddle. At this saddle is where the real climbing begins. 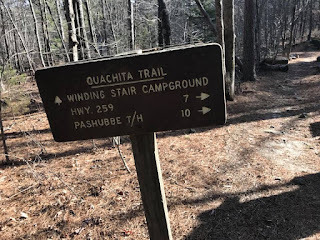 This section of the Ouachita Trail has 33 switchbacks (hence the name of the race) to the top of Winding Stair Mountain! The views will be incredible and unlike anything you would ever expect in Oklahoma. The climb ends at an old fire tower at the top of the mountain which is mile 8.8. 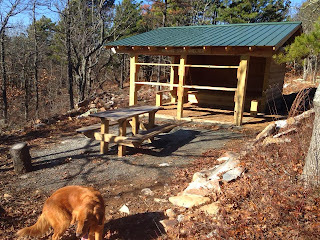 In 2013, a new hiker shelter was built here and the aid station will be at the shelter. It is really nice. There will be a limited aid station here because we will have to hike in supplies but it should be plenty to fit your needs. All runners will turnaround here and descend the mountain and follow the course back to where they started. Aid will come again at the Hwy 259 Trailhead which is mile 14 on the course. 25K runners will then finish there out and back run back at the Pashubee Trailhead which will actually give then a total distance of 17.7 miles. The next 1.4 miles is very smooth on an old roadbed with a lot of descent as you come off the mountain. This will probably be your fastest mile of the entire course. Here you cross the Talimena Scenic Drive and continue West (do not take the Mountain top trail). From here you have just under 4 miles to the Horsethief Springs Picnic Area Aid Station. There are three intersecting trails on this section. 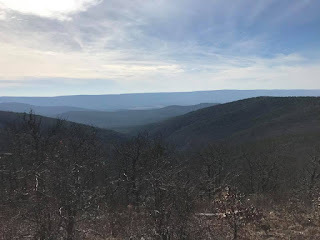 The Mountain Top Trail, Billy Creek Trail and then the Horsethief Springs Trail. All of these trails are blazed with white or yellow blazes. OT is blue blazes. ONLY FOLLOW THE BLUE BLAZES. We will have additional ribbons marking these intersections so hopefully you will not be tempted to take them. 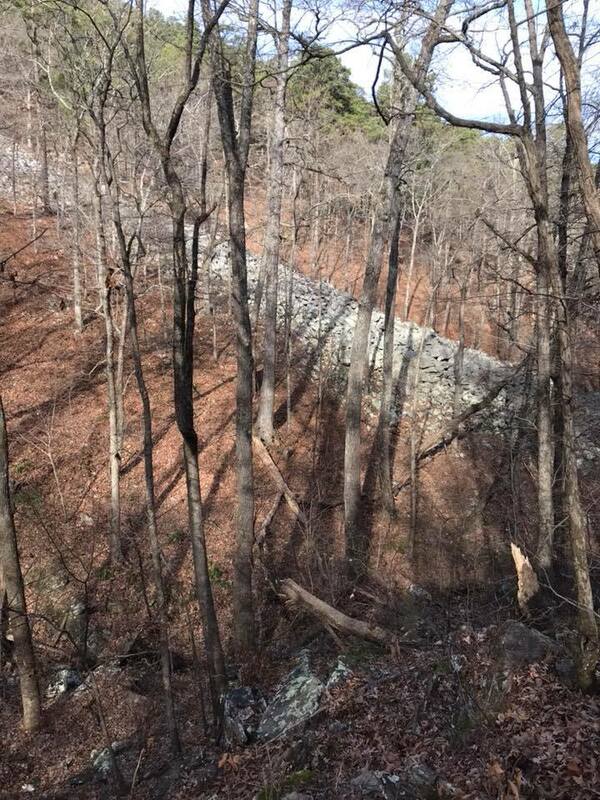 While there is not near as much elevation change on this section, it is very technical. 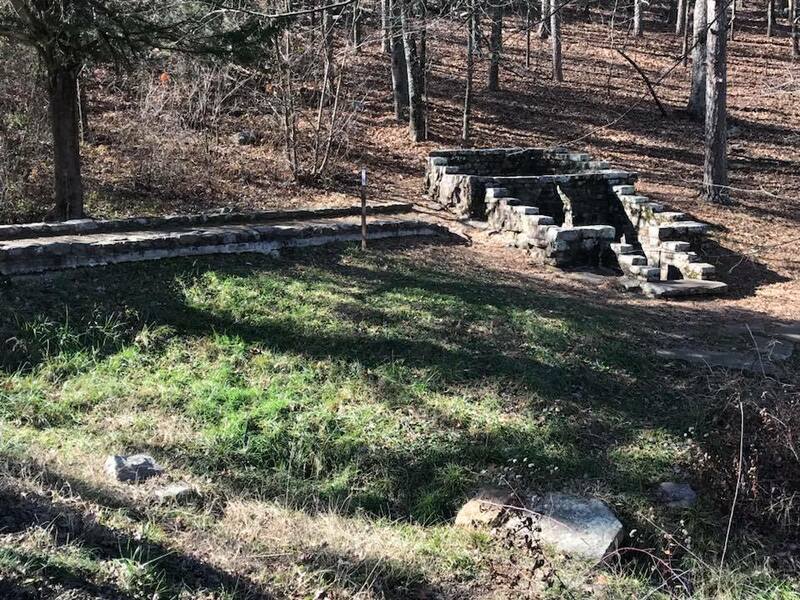 Horsethief Springs will have a full service aid station. Be sure to check in. You will hit this aid station twice. approximately 35 miles looking north. You will then go West for approximately 1.5 miles to the turnaround. We will have self-service aid there and a book. You will need to tear a page out from the book and bring it back to the Horsethief Springs aid station. Of course from there, you simply return the way that you came. you are only 10 miles from the finish of the 50K and it's mostly downhill.